Manchester United midfielder Paul Pogba is reportedly dead set on leaving the club for a transfer to Real Madrid. The France international’s agent Mino Raiola is said to have been working on getting his client a move away from Old Trafford, and it looks like he’s decided he wants to make his way to the Bernabeu next, according to Marca. 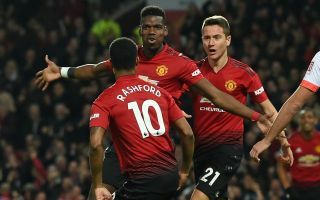 This is a huge blow for Man Utd fans, who have finally seen Pogba hit his best form in a Red Devils shirt this season after a slow start to his Premier League career. Ole Gunnar Solskjaer replacing Jose Mourinho seems to have really got the best out of Pogba at United, so for him to now be looking to leave will be devastating. It remains to be seen how likely it is that MUFC will even consider a sale at this point, but it’s far from helpful to have a want-away player on their books as they look to rebuild under Solskjaer. Paul Pogba to leave Manchester United for Real Madrid? This report also comes as Diario Gol claim United goalkeeper David de Gea has also expressed a desire to move to Real Madrid. This follows the Daily Mirror claiming new Los Blancos boss Zinedine Zidane would be keen on De Gea to replace Thibaut Courtois. If Real somehow got Pogba and De Gea in one go that would be incredible business by them and hugely damaging to United.